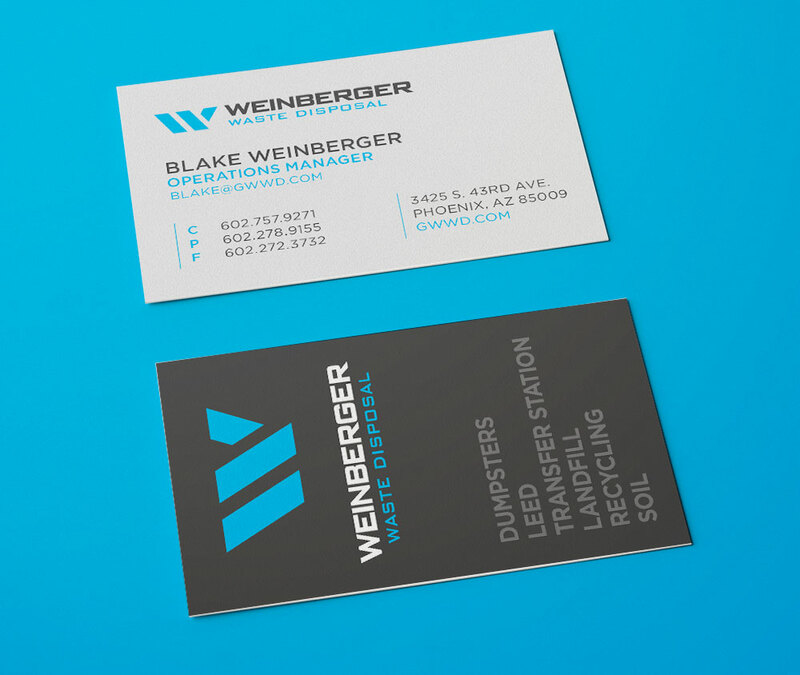 Weinberger Waste recently hired Tomko Design to give them a new identity that was contemporary and strong. Using the first initial as the basis for the logo bug, the W and it’s three separate pieces relate to the multiple divisions of the company. There will be a new website coming by summer. 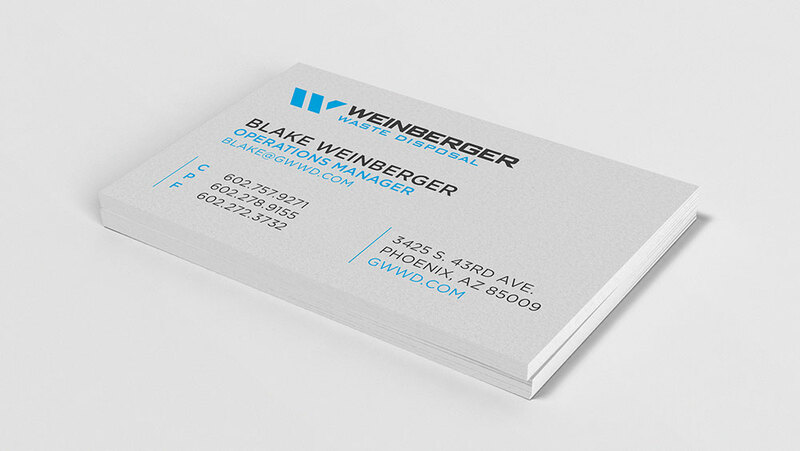 In the meantime, here is a look at the new logo and business cards. © 2019 TOMKO DESIGN ~ SIGNATURE GRAPHIC DESIGN AND BRANDING ~ PHOENIX, ARIZONA All Rights Reserved.